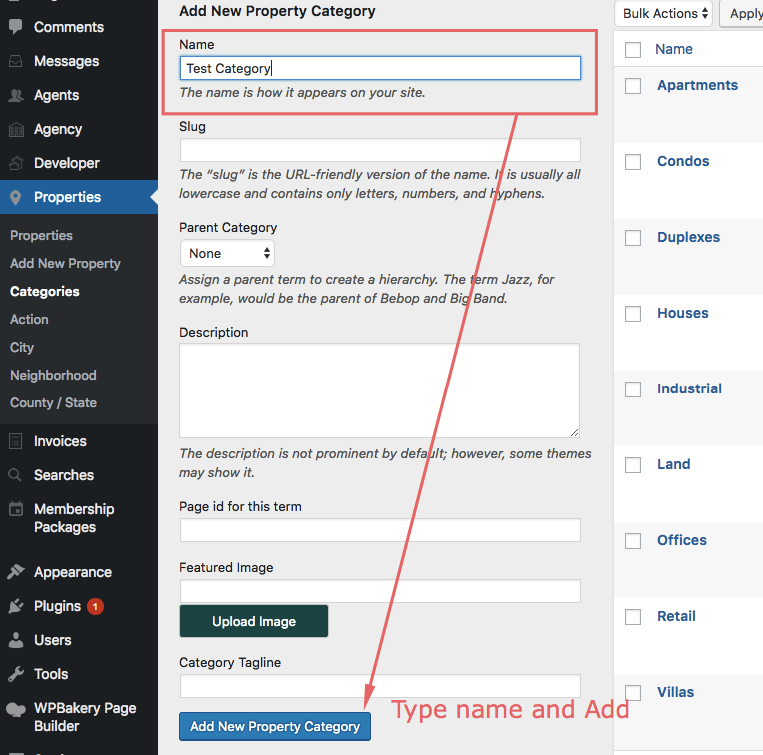 To add a custom taxonomy you must go to properties – select the taxonomy – add new. 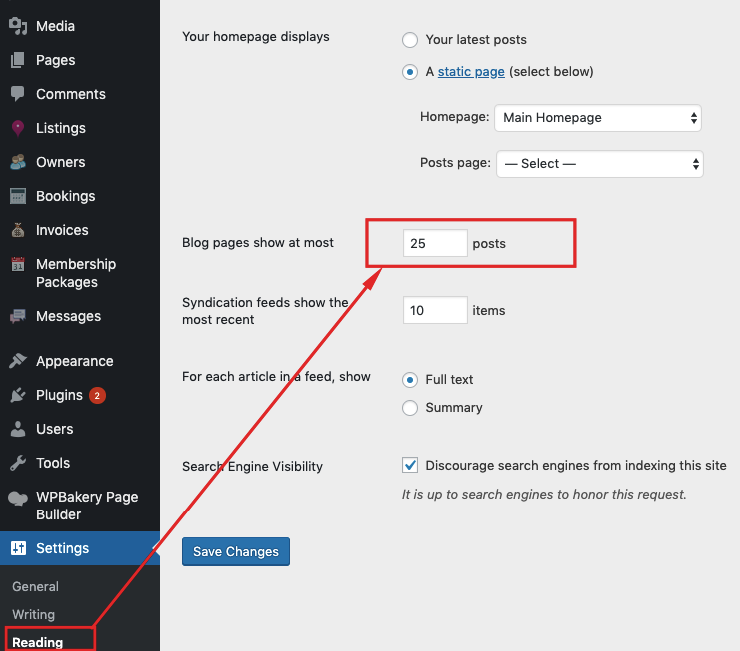 Make sure titles and slugs match or else search / ajax filter or listing properties will not work. 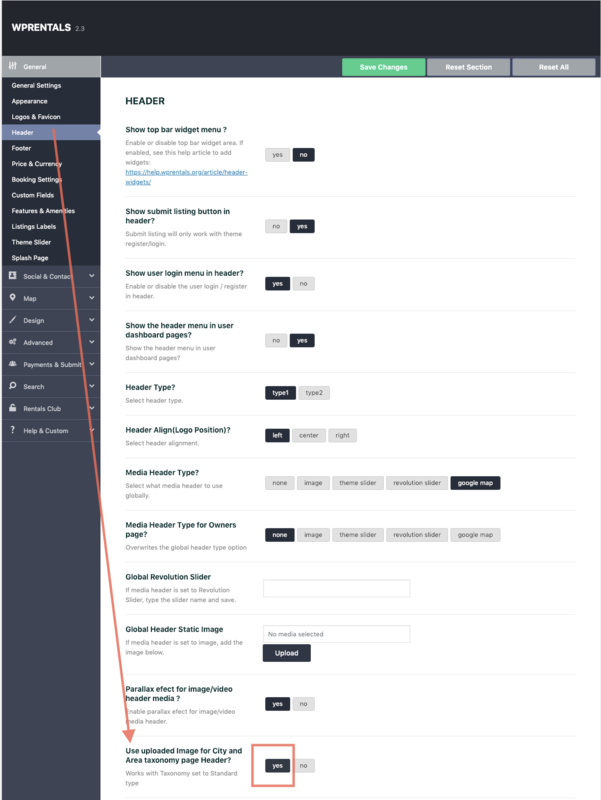 Search over map and ajax search works with custom taxonomies ONLY if you add 1 category to each property. Same applies for action taxonomy. 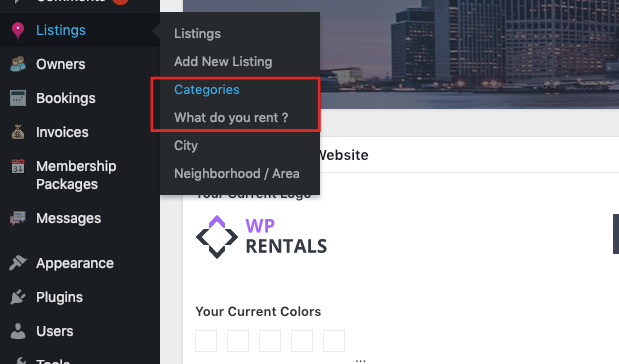 DON’T ATTACH A PROPERTY TO multiple categories or multiple actions, even if you can edit a property from wp-admin. 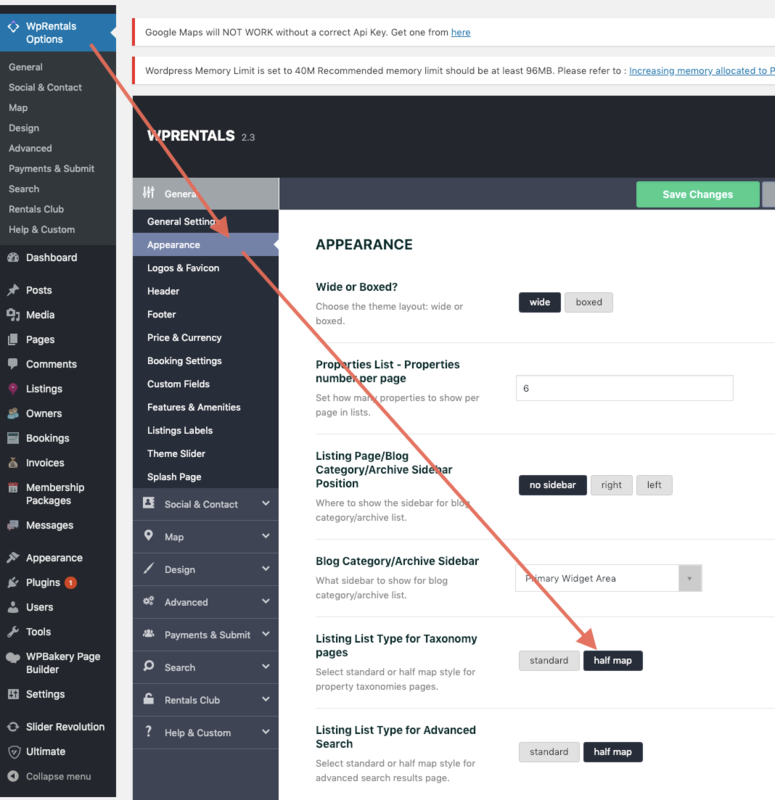 Let user select only 1 category from submit form. 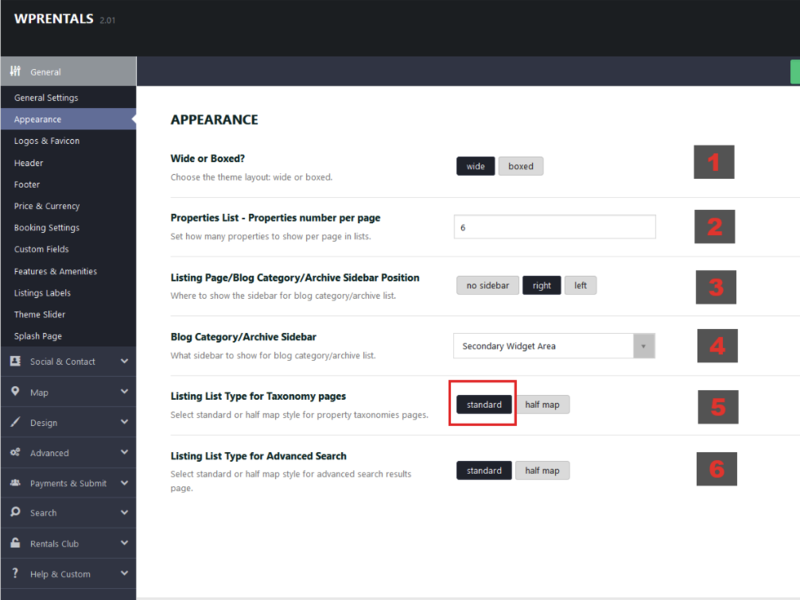 You can use child categories and assign the property just to 1 child category. 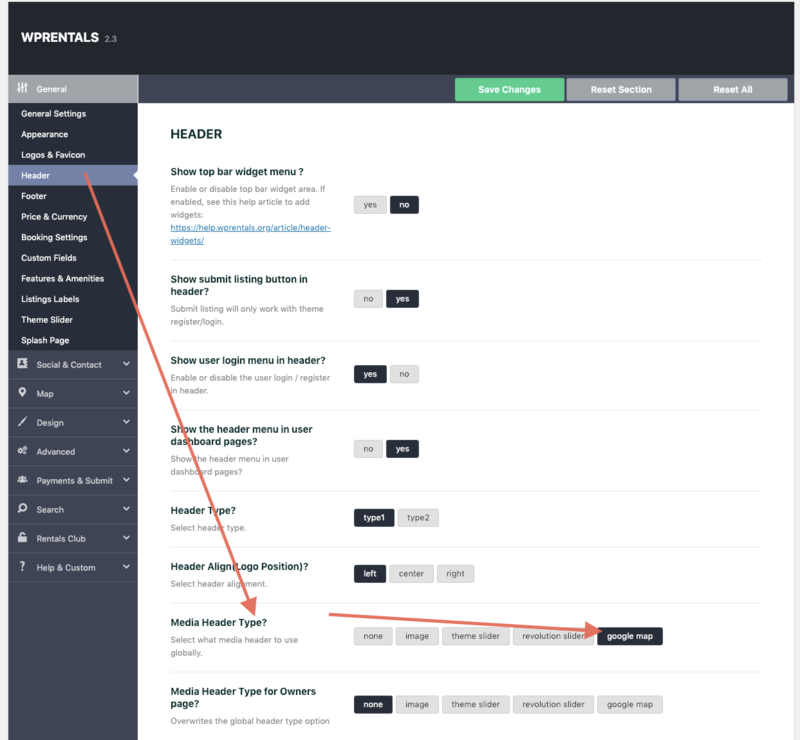 Then the property will show in results when searching by parent category as well. Search over map filters pins. 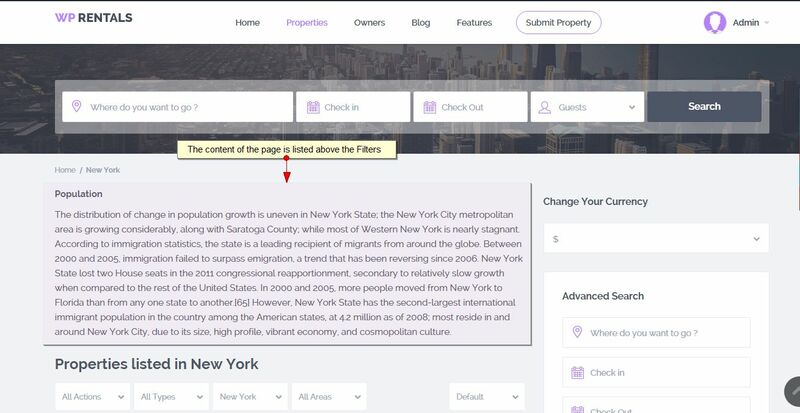 Since there is 1 pin for a property, the map will show 1 pin only for properties with multiple categories attached. Same will happen in Half Map filtering. So you may see “no results found” in the map, but in the list, you do have results. This option does not apply to HALF MAP design. 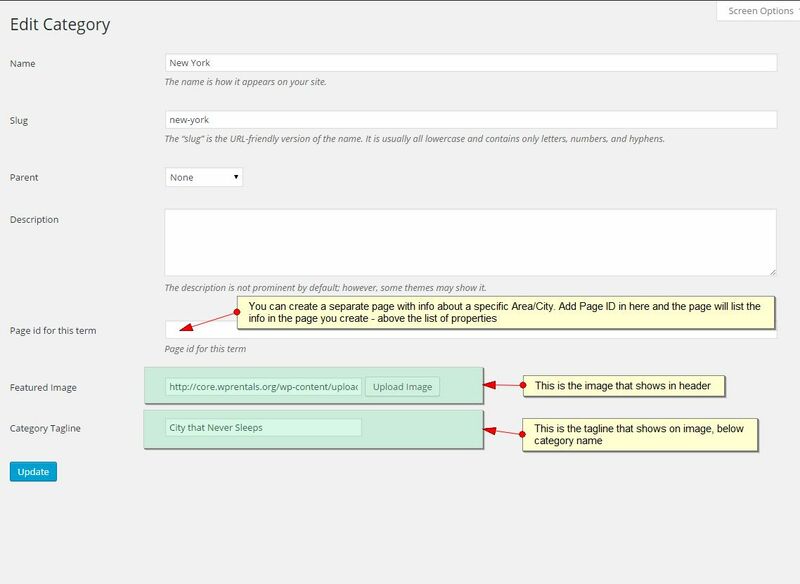 Add header image and tagline (text) from Add/Edit City or Area in Admin. 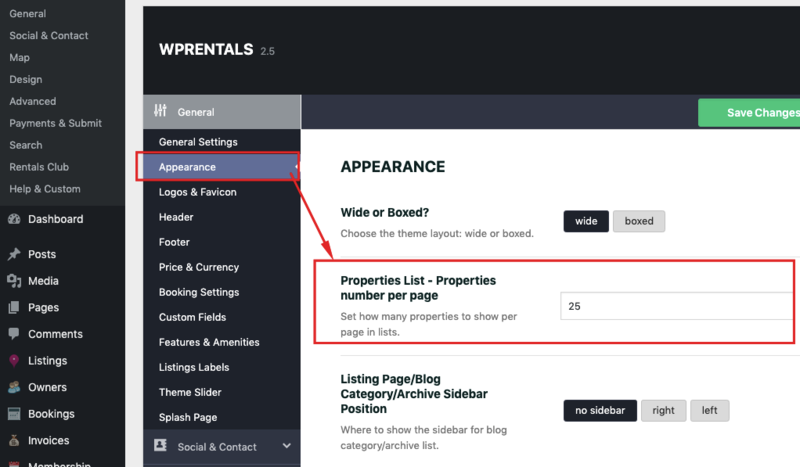 Add Extra info on top of Taxonomy page properties list following these steps.